When I explai ned to my friends and family what bouldering is, they were a little alarmed to hear I was climbing up walls without a rope! Like them I hadn’t even heard of the sport until a new gym popped up in my local town. This made me think a little explanation of what bouldering is would be a good way to start the blog. 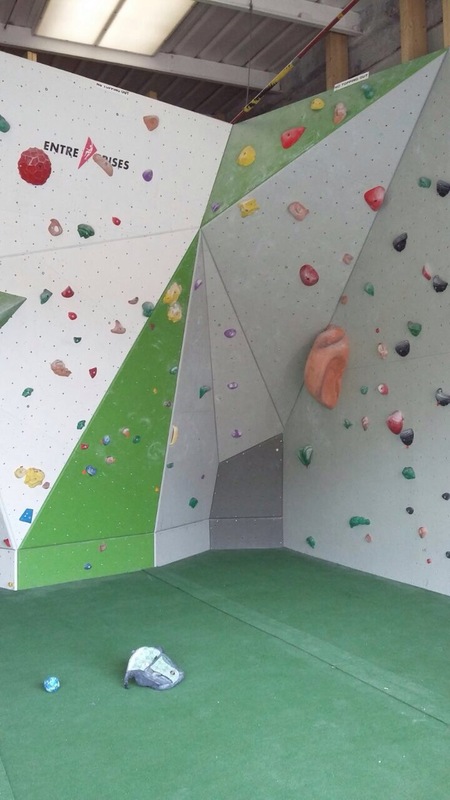 So, indoor bouldering is basically climbing without ropes or harnesses, on walls that are about 4.5m in height. There’s a thick safety mat below the walls to soften your fall, and as long as you fall correctly in a controlled manner, you’ll bounce back up unharmed. I believe it began as a form of training for all route climbers, who would boulder to warm up or practice moves. Then it took off and became a popular activity of its own! Whereas roped climbing has routes to climb, bouldering has problems to solve. These problems are shorter than a route, and focus on a series of moves to solve the crux of the problem. I like to think of it as maybe the purest form of climbing, as you have no equipment, you’re just relaying on your body and mind to get you through. At climbing gyms you will generally find that the center will have a range of problems graded on the V-scale. These climbs go from VB/V0 which is the easiest, up to around V12 indoor (from my experience), even though the hardest grade climbed outside is currently V16. These problems come in a variety of forms, some may be more technical requiring fancy footwork, e.g heel hooks or toe hooks. Others may be more powerful and simply need you to push your mental game, or use momentum for a large move. New climbers sometimes believe that upper body and finger strength are the most important ingredients for bouldering, however it’s not all about power. Of course being strong and having good grip will make things easier, but enjoying the climb and having a positive mind-set can be even more helpful. Bouldering is something that fell into my life by accident, and without sounding cheesy, it has changed and helped me quite a bit. It’s such a social sport that you find yourself casually making new friends regularly, which is great for someone of a quiet nature like myself. There’s nothing better than hanging out with good people, working hard at a problem, and then looking down from the last hold to see how far you’ve traveled! Hopefully this has helped explain what the sport is all about, and why I love it so much. 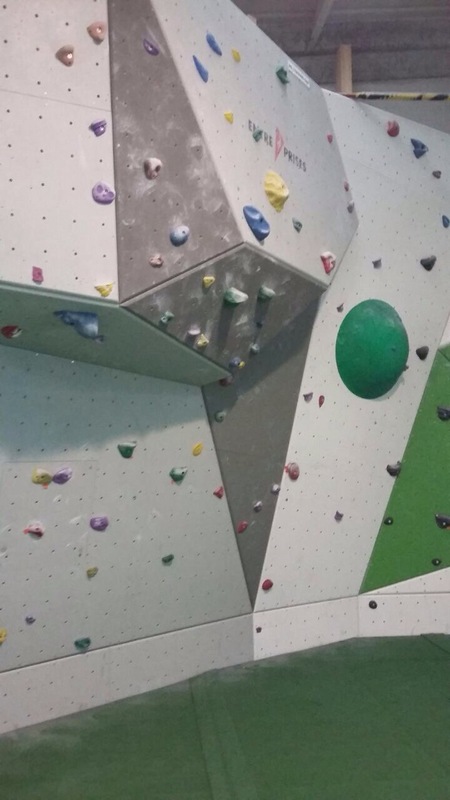 Pop down to your local wall and give it a go!